The Nobles of Isis Shrine Temple in Salina, Kansas are having an unfortunate identity problem, thanks to current events. One word is raising many questions. "We kept thinking it would go away, calm down, and basically as of right now, it's been worse." 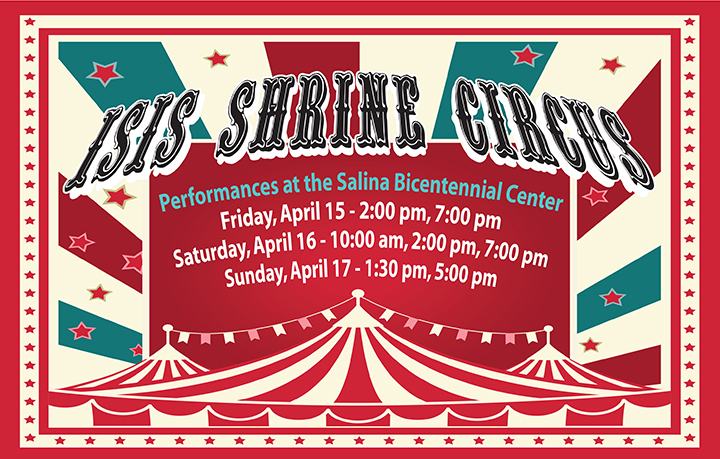 John Gilpin is a part of Isis Shriners, a non-profit that helps children in need with medical expenses, about 1,500 members meet at their temple in Salina. "We talk about it for a while, go off on something else, and try to forget it, but it keeps coming back." He says the word Isis comes from an Egyptian Greek goddess, not to be confused with the terrorist group that is also known as ISIS. "All we can do it explain it to them and tell them what we are doing. "The charity has had the name since 1927. "We are the oldest corporation in the state of Kansas, but we would hate to lose that." Apparently, the public is having a tough time differentiating between radical Islamic terrorists and portly, middle-aged, white gentlemen wearing fezzes and driving smallish go-karts in local parades. To read or watch the whole story, CLICK HERE. But ISIS isn't even the name of the terrorist group. It's what foreigners call them. They refer to themselves as daesh. Masonry has always been built upon reason; though you wouldn't know it by the way some of our Brothers have been behaving as of late, but I digress. The name ISIS should stand. The same way we should continue to refer to the supreme architect of the universe with the traditional title. Not calling "him" "God" offends ppl because they actually think God is a name. In short, we are ever at war with tyranny, ignorance, and fanaticism so we will do what we have always done - endure.